Selena Salang, the writer and musician behind Slow Hello, wrote these two songs as opposite sides of the same situation, a failed connection. 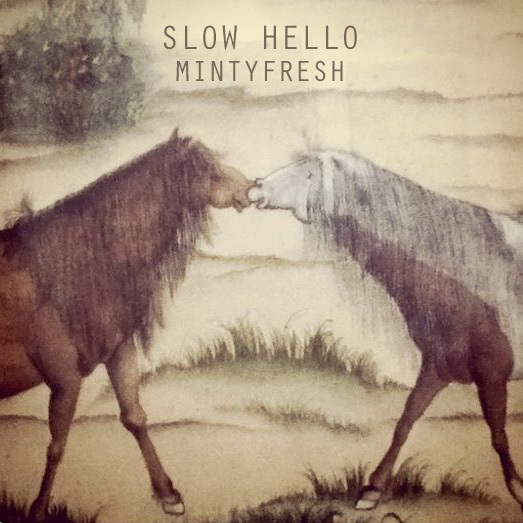 The first track, “Minty Fresh,” is a happy acceptance of what was, an appreciation of a connection in its short existence. “Cold Turkey” presents a sense of frustration; Salang describes it as “an addiction that repeats itself in cycles.” While the two tracks were written as alternate responses to disappointment, they share an infectious lo-fi pop aesthetic that recalls long drives during the first or last days of summer. Minty Fresh/Cold Turkey was produced by Allan Lumba (Multo). Number Line Records is proud to release this first collaborative effort from two of our artists.